Silsila Badalte Rishton Ka is one of the most popular shows of colors Tv. Now the Tv serial Silsila Badalte Rishton Ka is one of the most attractive shows on the colors Tv. Silsila Badalte Rishton Ka show is on a very interesting turn currently. There is high voltage drama in the show. 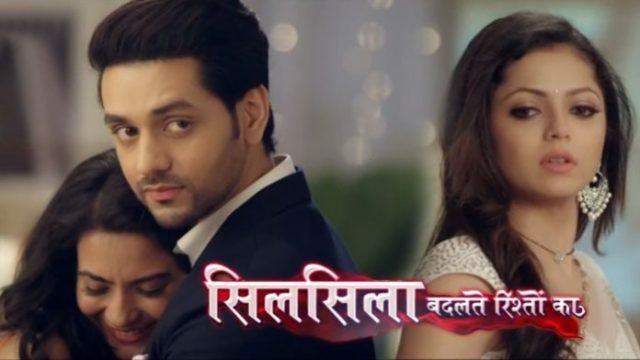 Today’s update 27th November 2018, Silsila Badalte Rishton Ka begins with Mamma stood in a corner, worried and thinks she must tell Mauli that Kunal knows about Mishti. Ishaan asks about his daughter Mishti. Mauli asks Mamma that where is Mishti. Mishit sat in a corner, recalling how Mamma told Kunal that Mishti was his and Mauli’s daughter. Ishaan walked in the midst of road, deep in Mishti’s thoughts. A car hits him arm while passing by closely. Mauli and Ishaan both find Mishti asleep in a corner, Mauli notice that she slept crying in the corner. Dida said she had more than six ice creams and was angry after being forbidden. Ishaan says that he had planned a long drive with all of them. Dida tells Ishaan to take Mauli for the long drive. She, Radhika and Mishti will go home. Kunal returns home and starts crying. Pari was waiting alone, to see Kunal she hugs and asks where he had left for so long, leaving her behind. She shouts at him and complains if he did not even miss her? Her babysitter tells Kunal that Pari missed him, and did not even eat anything. She goes to serve food. Kunal accepts he is a bad buddy and promises he would never leave her. Pari was now offensive, as only she could blame her Buddy. She clutches his arm which aches. Pari asks him to show her what happened and applies an antiseptic over his bruise. Kunal smiles watching her. Upcoming Episode of Kulfi Kumar Bajewala: The bus driver calls Mauli has not come out of the school. Mauli comes to school. The guard tells Mauli to leave the school.